Vetro4 Class 4 Veterinary Laser. 25 Diodes. 5W. Our Products >> Vetro4 Class 4 Veterinary Laser. 25 Diodes. 5W. Sold for animal use only. 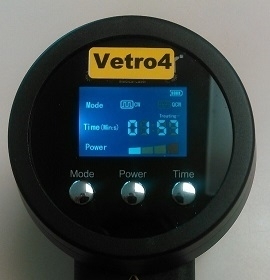 The Vetro4 is a high quality class 4 veterinary laser that is used to treat musculoskeletal conditions such as bowed tendons, suspensory injuries, and canine hip dysplasia. 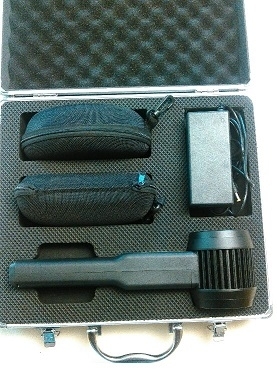 Veterinarians use this laser to quickly treat post surgical wounds and proud flesh. 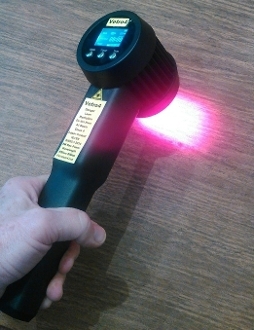 Most affordable class 4 veterinary laser on the market. Hand-held. Very portable. No power supply to lug around. Take out in the field. 25 real laser diodes (not LEDs). 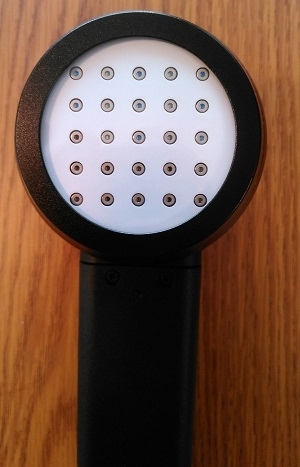 10 infrared 808 diodes. 15 red 650nm diodes. Maximum power 5W. Large treatment head quickly covers a huge area. Adjustable mode. Pulsed or CW (Continuous Wave). Adjustable time. 1 to 60 minutes. 2 pair of laser safety goggles.